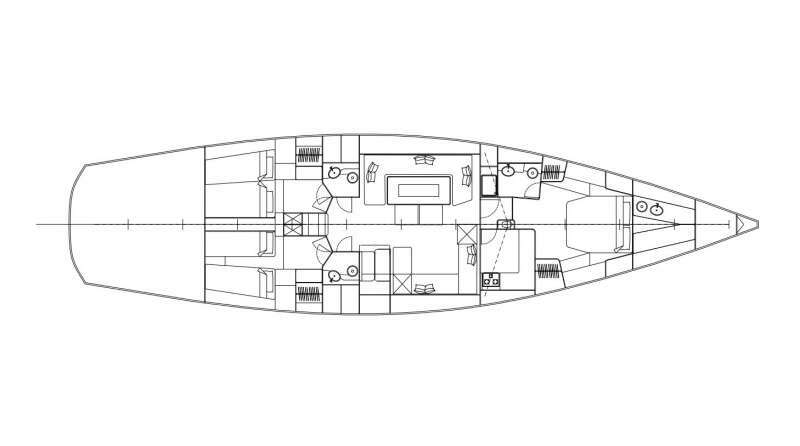 6 guests can be accomodate in 1 full beam master cabin and in 2 twins cabins. All equipped with private bathrooms. Born in Italy in 1973, Roberto first studied chemistry which he practiced for a few years after graduating, but due to his love of the sea and sailing since a very young age, he decided to realise his dream and starting studying again… to become a qualified Captain. A very sociable and positive person, he enjoys sailing with his charter guests, making safety and comfort his priority. It is onboard a good racing performance sailing yacht that he feels the best and was delighted to join the beautiful S/Y YOL with her new Owner. Dedicated and hard-worker, he also runs his own business in his spare time, a company specialized in MCA advice and equipment. Roberto is for sure a reliable person and likes to share his passion for nature, he and Jenny will make sure their guests needs are met onboard and make sure they have an unique and special experience. Having worked in diverse hospitality fields as well as having a background in the advertising and marketing industries, she has developed a large experience in public relations and felt strongly about following a career in which she could combine all her skills with her gregarious nature. So she started her career as a stewardess/cook on board yachts to fuel her avid love for travel and to dedicate herself to exploring and fulfilling every opportunity arising from this industry. Jenny is an exceptionally dedicated person and works extremely well with people of all cultures and backgrounds. She is very hard working and has a great sense of humour and can be relied on to lighten the mood yet remain focused and dedicated. She is very professional, competent and can adapt easily to different situations. She is passionate about cooking healthy and delicious meals, particularly menus incorporating fresh fish recipes.